We undertake manufacturing & exportersof Sheet Metal Stamping Parts. 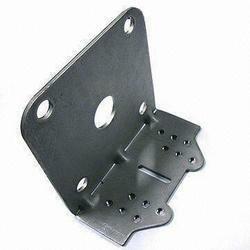 Sheet Metal press parts, CNC machined parts & precision Sheet metal components. Stainless Steel 304 and 316 materials. Apart from precision stamped parts and pressed parts we offer precision milled & turned parts and CNC machined parts. We offer ROHS complaint and free of hexavalent chrome. With testing & analyzing reports available for different parts. The fabrication of a sheet metal chassis often requires some method of assembly. This assembly can be achieved by welding and spot welding component sheet metal parts or or adding various types of hardware such as weld nuts or hinges. This is an accurate, economical, and efficient method of assembly. Custom Metal Stamping, Rapid Prototypes, Short Run Stampings, etc. 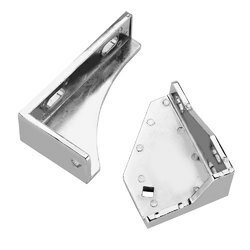 Our company provides stainless steel stamping, fabrication, and rapid turn-a-round. We are a well established Mumbai based metal fabrication company, with OEM and ODM customers in the Pharmaceutical Industry, Automotive, Electrical, Electronic, Medical, Aviation, Construction, & Industrial markets. Our stainless steel stamping services range from short-run single hit stamping to high volume progressive die stamping. We provide quality driven solutions to your custom metal stamping applications. High Quality Custom Tooling for Stainless Steel Stamping. Years of low and high volume metal stamping and custom tool development have led to our streamlined process. Our proprietary process delivers custom tooling and prototyping in a quarter of the time traditionally allotted for custom tool development. 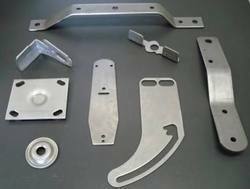 We are reputed name manufacturing range of Sheet Metal Components that are engineered to serve various industrial applications like. Looking for Sheet Metal Components ?